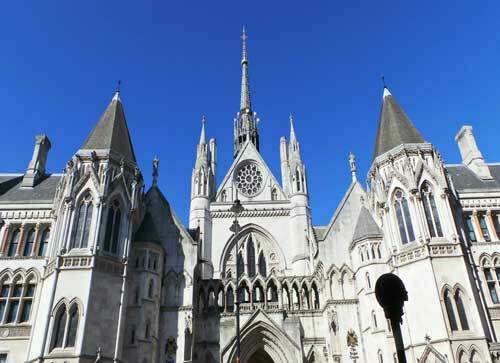 ﻿ The Inns of Court Tour - A Walk Through Legal London. It has been said that there is nowhere else on earth quite like London's four Inns of Court. Between them Gray's Inn, Lincoln's Inn, Inner Temple and Middle Temple harbour some of the most picturesque, least changed and historically fascinating places you could ever hope to encounter. Their time-locked lanes and tucked away squares have witnessed some of the most important events in English history, and yet they remain a relatively little explored part of London, their existence known only to those who work in them, or those whose curiosity has led them through the sturdy wooden gates that keep the outside world and the modern age firmly at bay. But, to step through those gates, to set foot on those ancient flagstones that meander between the buildings, and to walk through the picturesque squares, tranquil cloisters and glorious gardens with which the inns abound, is to enter the refined world of the wigged and robed English barrister and, as you pick your way through these secret enclaves of hidden London, you will be walking in the footsteps of some famous, some infamous, some celebrated and many colourful characters. Men and women whose quick wit and ready repartee poured forth so many memorable quips and barbed ripostes that you could dine out on them for years to come and still have some left over for dessert! Add in the sheer magnificence of the surroundings, and you soon see why the Inns of Court are such an absolute joy to discover, and why those who venture into them are invariably compelled to return time and time again; which is why we provide you with a full summary of the tour, together with a map of the route, so that you can return and explore them at your leisure. This summary and map will be emailed to you during the course of the tour and will take you to a web page that will contain the summary and the map. Our tour of the Inns of Court is a true time travellers odyssey that criss-crosses the centuries to give you a genuine insight into the history of each enchanted enclave whilst, at the same time, introducing you to many of the traditions, customs and rituals that still play a major role in the everyday business of the Inns as a whole. The tour visits Gray's Inn, Lincoln's Inn, Middle Temple, and Inner Temple. 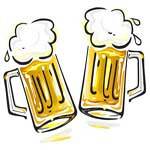 You will hear lots of anecdotes about famous barristers past and present. 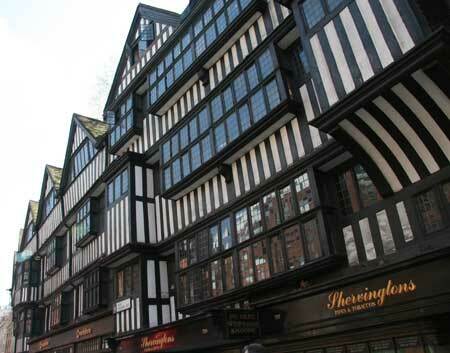 We begin by looking over at the exquisite façade of Staple Inn, a true remnant of bygone London. Its black and white, timbered frontage is surmounted by a crazy jumble of bizarrely angled gables which, in turn, are punctured by the panes of a myriad of lattice windows. It makes for a truly splendid beginning to the tour, and, as Richard will point out, it is intriguing to think that, amongst many others, both William Shakespeare and Charles Dickens would have looked upon the building, just as you will be as you prepare to delve into the wonderful Inns of Court. Staple Inn was never an Inn of Court, but was one of the Inns Of Chancery, and Richard will begin by discussing the difference between the two. 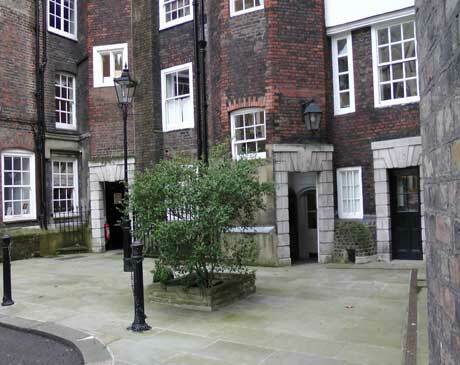 As our walking tour sets off along the busy Gray's Inn Road, you could be forgiven for thinking that there could be nothing in the least bit secret about such a busy and noisy thoroughfare. But hang on in there! Suddenly, we've turned in through an ancient gateway, and the incessant ear bashing we've endured is reduced to a distant murmur as the modern age falls away and we find ourselves standing in a delightful courtyard surrounded by a medley of picturesque buildings that date from the 16th, 18th and 19th centuries. Crossing the square, we pass the pump from which the surrounding chambers once drew their water supply. We even encounter an old wooden stool on which long ago messengers once sat awaiting a summons from m'learned friends who would send them off to run errands on their behalf. Suddenly we are confronted by an ancient dining hall inside which one of the first performances of Shakespeare's The Comedy of Errors took place. 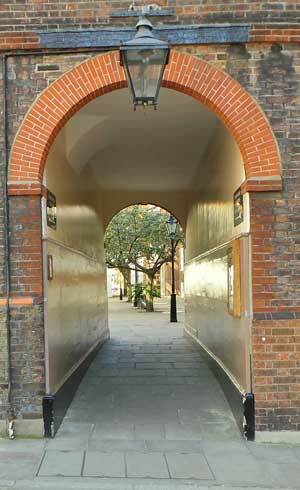 Next up is the office, THE OFFICE, where Charles Dickens worked at the age of fifteen. Here the boy who would be Boz, used to delight in playing practical jokes on passersby and was renowned for his ability to mimic any of the clients who crossed the threshold of the building. Indeed, several of those clients received the ultimate accolade and, years later, found themselves immortalised in his works. Can there be a better link to bygone London than these two relics that are associated with England's greatest playwright and England's greatest novelist respectively? And, most amazing of all, the two buildings actually gaze across at each other from opposite sides of the same square. Leaving Gray's Inn to its memories, the walk continues along Chancery Lane and turns in through a narrow, almost hidden passage to enter the next of the Inns of Court, Lincoln's Inn. Once more the din of modern London is reduced to a distant hum as we encounter the sound of, well, to be honest, nothing in particular - just delightful quietude. Here, shaded by a soaring London plane tree and confronted by a 15th century dining hall, we are in true film set corner of London where many a television drama and blockbuster movie has been filmed. There are even old gas lamps, the dull glow of which flicker at all times of the day and night. Lingering to take in our surroundings, we discuss the fact that, in the old dining hall, Charles Dickens launched his most scathing attack on the machinations of the English legal system Bleak House. Your guide will even treat you to a few choice quotes from that worthy tome. Then, we head into the glorious cloisters of Lincoln's Inn to hear how they may have inspired John Donne's most famous, and oft quoted, lines "Ask not for whom the bells tolls it tolls for thee". Via the most glorious gardens imaginable, and having paused to catch a glimpse of the uniquely ornate gardeners shed, we pass by the latest addition to the Lincoln's Inn landscape, a 19th century dining hall, and then head out through another spectacular gate to, quite literally, wind up in Carey Street. Time was when no self-respecting Londoner would relish the prospect of winding up in this delightful little backwater, for the name of Carey Street was once synonymous with financial disaster. Why? Well, your guide will lay the sordid facts before you. Today, Carey Street offers one of London's most magnificent vistas, the soaring bulk of the Royal Courts of Justice, a Gothic Revival masterpiece of lofty pinnacles and turret-topped towers that is very much the epicentre of Legal London. Pausing to take in the majestic splendour of the buildings that tower over us, your guide will regale you with a fund of fascinating facts and curious anecdotes about Courts. You will, for example, learn how the fabric contains 35 million Portland stone bricks; how the interior boasts a warren of more than 3.5 miles of corridor; and how over 1,000 clocks - a large number of which are wound by hand - help those who labour within the hallowed walls to ensure that they are not subjected to the law's delay. Your guide will regale you with intriguing facts and fun anecdotes about the courts as you skirt their hallowed walls. As we circumnavigate the buildings we might even catch a glimpse of the odd judge, or an even odder barrister, racing for an appearance at one of the courts, their robes billowing behind them, their wigs perched precariously on their heads. Speaking of wigs, we will make a brief stop to gaze into the window of a shop that has been crafting said head gear for centuries, and your guide will provide you with the story behind this delightfully eccentric item of courtroom apparel, including why it's nigh impossible for a barrister to be heard without one. And, whilst you have been hearing all these golden nuggets of history and information, the walk will have skirted the Royal Courts of Justice and will have arrived at the junction of the Cities of London and Westminster where the next of the Inns of Court awaits our discovery. Then, via a secret passageway which, as you will see, is so secret that few people even know of its existence, you will slip from the traffic-clogged rush of Fleet Street, and enter the final two Inns of Court, Middle and Inner Temple. What you will have experienced up to this point will have been impressive enough. 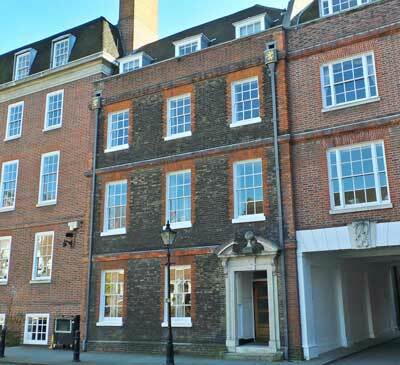 But Middle and Inner Temple are well and truly the icing on the cake of Legal London. Cobbled lanes and dreamy courts; sparkling fountains and exquisite gardens; time washed sun dials and tranquil squares; and an ambiance that is so utterly enchanting that Charles Lamb's comment that "a man would give something to have been born in such places", or Charles Dickens observation that you can read on the gates "who enters here leaves noise behind", still hold true today. Delving into the courts and squares we encounter a 16th century dining hall that has changed little since Elizabeth 1st came here to partake of the Middle Temple' hospitality and to be entertained by the companies of actors that were such an integral part of the entertainment of the Tudor age. Indeed, Shakespeare's Twelfth Night delighted its first audience inside this very hall. Finally, we make our way to one of the true glories of the Inns of Court, The Temple Church, dating from 1185 and built by the soldiers of Christ, the Knights Templar, after whom the Temple is named. You will have the opportunity to photograph and examine its exquisite carved stone doorway as your guide tells you about its history and picks out other curiosities of the buildings outer fabric. The church has, in recent years, become something of an international celebrity thanks to its' having being featured in both the book and the film of The Da Vinci Code and you will also learn of the many other film appearances that this tiny little corner has made. Indeed, we have, from time to time, inadvertently strayed onto the sets of some of the movies and TV dramas that have been filmed around here. Sadly, however, our starring moments have always ended up on the cutting room floor. This is such an awe-inspiring spot, and one at which tales of historic and epic events come crowding in on us from ever angle. Tales of the Knights Templar - the "Soldiers of Christ" - protecting pilgrims and precious cargoes on the dusty roads to the Holy Land. Tales of Magna Carta and other monumental events that were instigated or played out in the dreamy courts through which you will have passed in the course of your walk.. 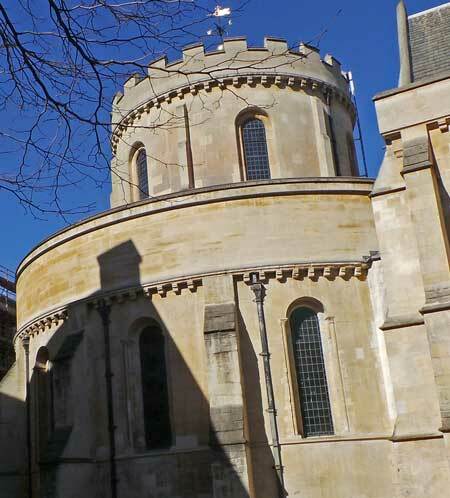 It's outside Temple Church, with history coming at us from every angle, that our tour of the Inns of Court draws to its close and, as the curtain comes down on a fascinating and captivating two hours, your guide will be happy make suggestions of other places to visit and things to do in the area. So join us for a fascinating jaunt through close on a thousand years of eventful history, coupled with a rich array of legal anecdotes and facts, all faultlessly delivered against the stunning backcloth of one of London's most secret and timeless quarters, and discover for yourself what a fantastic place the world of lawyers London truly is. If you want to enjoy a bite to eat before the tour, or just feel in need of a little sustenance before we set off, here are a few suggestions for pubs and cafes in the vicinity of the station. If you look along High Holborn (that's with the Robert Dyas shop to your right side) when you arrive at the meeting point, you'll see a large black and white clock on the upper level of a building about two minutes walk away. This is the Cittie of Yorke and, although they won't be open if you are joining us for a morning tour, they most certainly will be open should you be taking an afternoon tour with us. They do a nice range of basic pub meals, and the pub itself possesses an almost baronial interior. On the opposite side of High Holborn from where our tour begins there is a Caffe Nero. 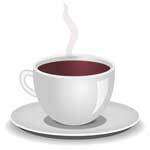 You can have a sit down and enjoy a cup of tea or coffee here before setting off. It is also the only place in the immediate vicinity that has toilets. 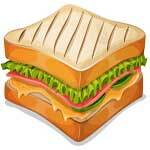 On the other side of Gray's Inn Road from where we begin there is an Eat sandwich bar. As well as a wide range of sandwiches they also offer soups and pies. However, they only have minimum seating and zero toilet facilities. Chancery Lane Underground Station is on the Central Line. To reach our meeting point, turn left once you have passed through the ticket barrier, and Exit One is the exit on the left. Go up the stairs and your guide will be standing outside the Robert Dyas store directly outside the exit. It is worth checking for delays or cancelations. The bus stop you will need to get off at is Chancery Lane Underground. The following busses stop there - 8, 25, 68 242 and 521. 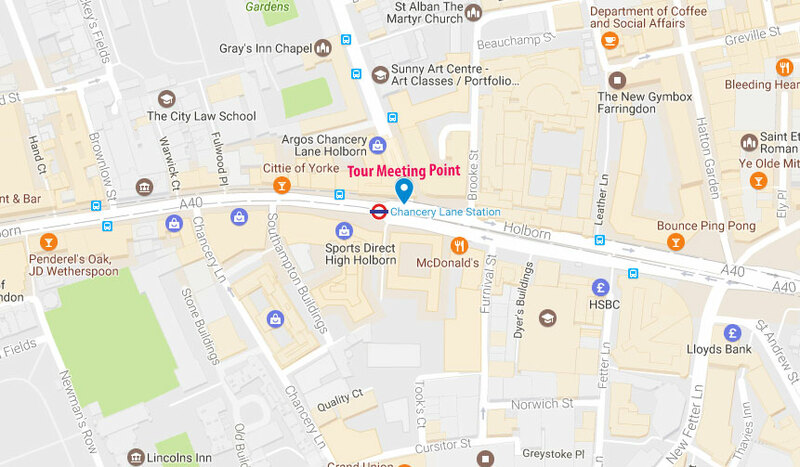 If you are coming by taxi or car, please ask the driver to drop you at the junction of Grays Inn Road and High Holborn. The address your driver will need to drop you at is 4 High Holborn, London WC1V 6DR. Just look for the Robert Dyas store alongside the exit from Chancery Lane Underground Station. Should you encounter any difficulties or arrive late, please call our Emergency Phone Number (020 8530-8443). There is a brief introduction to the Inns of Court outside the station and the tour then heads along High Holborn. To catch up, please follow these directions. With Robert Dyas to your right look along High Holborn and you will see a black and white clock on a building some way along on the right, and you should head towards this. Just before the clock you will pass the Ryman store, directly after it go right through the large gate into Gray's Inn. Keep ahead through the barrier and the tour will be in South Square directly ahead for around six minutes. We then move on to pass to the left of hall, and then we go left through the narrow covered passage. We pause alongside the garden for around five minutes. There is no wheel chair access into or out of Chancery Lane Station. However, the tour itself is wheelchair friendly. There are a few spots (cobbled streets and the like) that might be a little bumpy, but they are passable, and there are ramps on all the roads we need to cross. The walk meets outside Exit One of Chancery Lane Underground Station, which is situated on the Central Line. You can check below to see the most up to date status on the underground system. If you will be joining the tour on a Saturday or Sunday we suggest that you click the 'This weekend' link a few days before to check for any planned engineering work that might impact on your journey time. 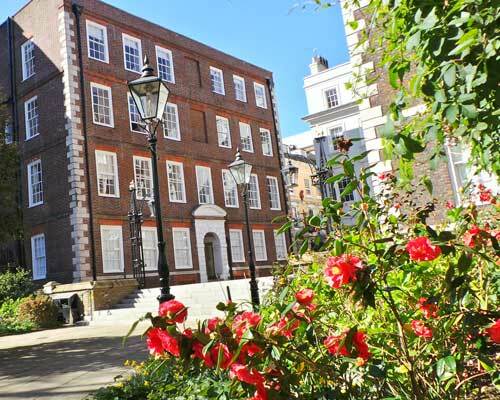 The Inns of Court Tour can be booked as a private tour for your office social, tour group, or even as an outing with a difference for a group of friends or relatives. However please be aware that there are restrictions on opening times. Neither Gray's Inn nor Lincoln's Inn, for example, are open to the public after 7pm nor are they open at any time on weekends. Inner and Middle Temple are accessible, but we have to enter them via a different route at certain times and on certain days. If you want to take the tour at any time after 7pm or on weekends, or on public holidays, please be sure to call us to discuss it before making a booking.